Charisse Grant is the Senior Vice President for Programs and Grants Administration. She leads the Foundation’s grantmaking and leadership development programs. 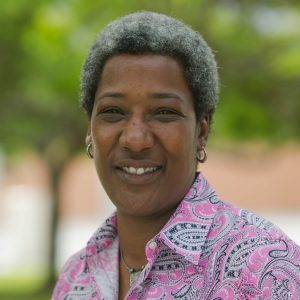 Charisse joined the Foundation in 1995 and has extensive community and nonprofit knowledge and experience helping donors and national funders achieve their philanthropic goals. Before joining the Foundation, she was a reporter for the Miami Herald newspaper covering a range of issues and graduated from the University of Missouri. She is a member of Leadership Florida Class XXIX, is an International Women’s Forum Fellow, served on the board of the Children’s Trust and the City of Miami Bond Oversight Board and worked as a volunteer teacher in southern Africa.